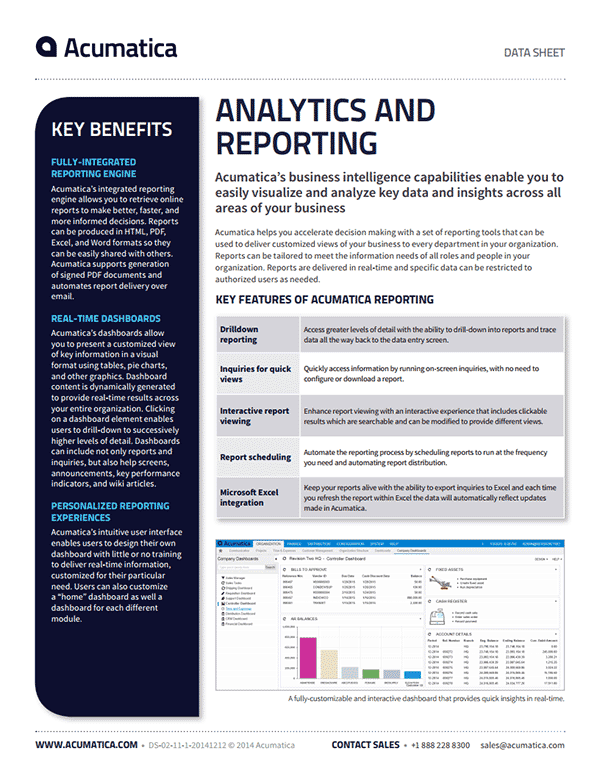 Acumatica’s business intelligence capabilities enable you to easily visualize and analyze key data and insights across all areas of your business. Acumatica helps you accelerate decision making with a set of reporting tools that can be used to deliver customized views of your business to every department in your organization. Reports can be tailored to meet the information needs of all roles and people in your organization. Reports are delivered in real-time and specific data can be restricted to authorized users as needed. Download the Analytics and Reporting datasheet to learn more.